Prepare to earn IT's most coveted certifications with lifetime access to this comprehensive training bundle. Information technology covers a wide umbrella of skills that can be used in nearly every industry, whether it's social networking, entertainment & media, consumer technology, or even agricultural services. The reason why IT skills are sought after is because virtually every major corporation requires a network infrastructure to operate. With thousands of companies launching every year, the demand for IT professionals steadily increases. As such, a career in IT can be both lucrative and stable. But, before IT professionals land their first job, they must earn one or multiple certifications depending on the IT track they wish to pursue. This Ultimate IT Certification Training Bundle can act as a roadmap for aspiring IT professionals; you can find it here for $39. 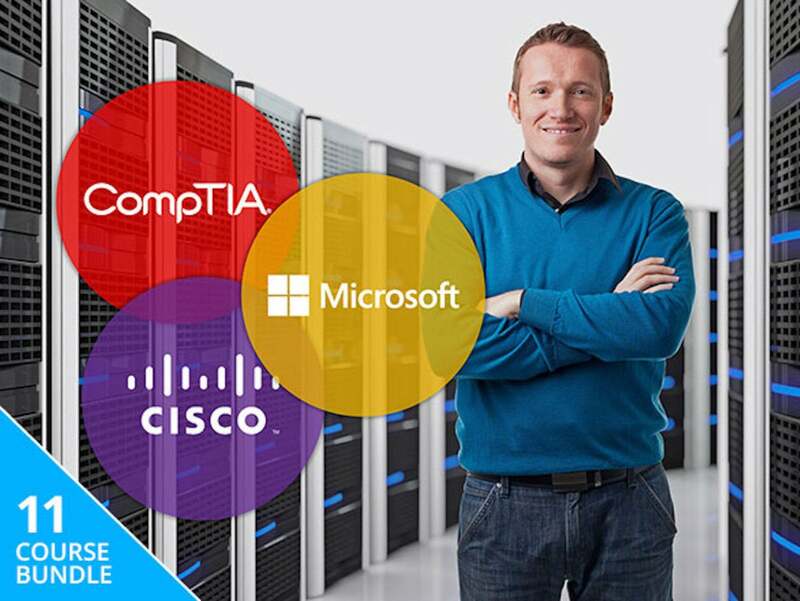 This comprehensive bundle contains 11 preparatory courses for CompTIA, Microsoft, and Cisco certification tests. One of the most popular IT certifications to earn is CompTIA A+, which covers entry-level concepts, such as installing and configuring PC hardware and mobile operating systems, as well as troubleshooting theory. This bundle features two courses for 220-901 and 220-902, two requisite exams for earning the A+ certification. The bundle also includes courses dedicated to Cisco’s ICND1 and ICND2 exams. ICND1 covers basic topics, such as navigating a PC’s OS and IP address knowledge. The ICND2 exam requires more advanced knowledge in implementing local networks and internet connectivity, managing and securing network devices, and implementing IPv6 connectivity. Finally, the bundle contains three courses dedicated to the MCSA Windows Server 2016 certification exam. MCSA Windows Server professionals must learn advanced topics such as how to configure and install Nano Server, DNS and BrainCache solutions, and configuring Active Directory Domain Services. Each course in the Ultimate IT Certification Training Bundle costs $299, totaling $3,289 if bought individually. However, you can buy all 11 of these courses here for $39, or 98% off.